Wow, it's now the LAST SUNDAY of May and it is time to communicate…with you! First a note, the WEEKLY cartoons you see in this newsletter are BIGGER and more READABLE if you go to Stan's blog http://www.StanLyndeAuthor.com (p.s. there are new cartoons posted each and every week). 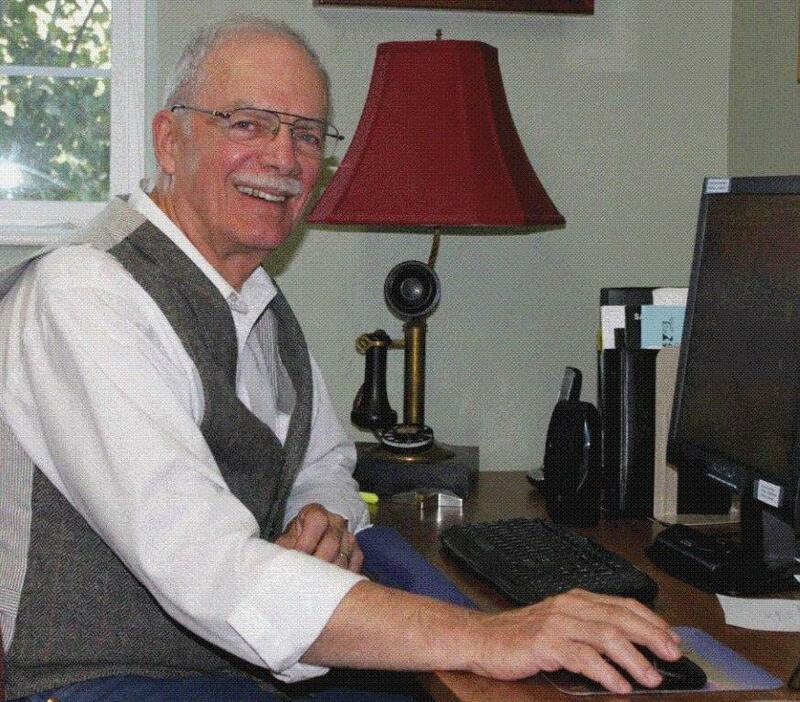 This month we enjoyed the FIRST MONDAY 7-8 p.m. CHAT ROOM with the addition of Dan Richmond (a long time friend and fan) daring to join up and chat along with us, and we're hoping that more of you will take his lead and join in! 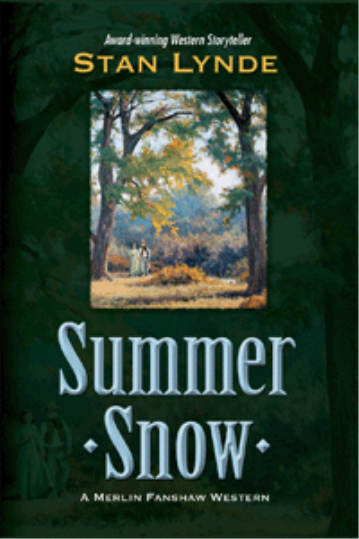 The next topic is YOUR FAVORITE WESTERN NOVEL, and WHY? So you are forewarned to set your calendar to June 4th for this fun and wholesome event. When was the last time that you heard an event was "wholesome and fun?" 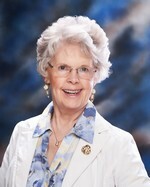 Be daring and sign on with your real name, or come onboard with an alias handle, which ever works best for you to Stan's web site http://stanlynde.net/chat-room_290.html. I suggest you sign up a few minutes early for the instructions, and allow yourself time to take a deep breath and get ready to plunge into the conversations. Great news! Vendetta Canyon is just off the presses in a new Cottonwood Publishing edition (and with a new re-do cover). 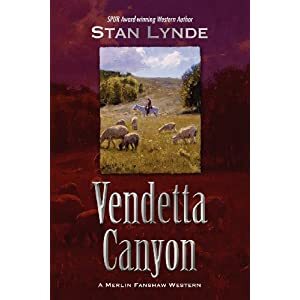 It can be found at Amazon for $9.99 at the following link http://www.amazon.com/Vendetta-Canyon-Stan-Lynde/dp/1475094566/ref=sr_1_4?s=books&ie=UTF8&qid=1337881090&sr=1-4. I have included some excerpts in this newsletter that I think you will find compelling reasons to order your own copy if you have not read it in the past. If you are an EBook reader, we expect it out in a month for Kindle readers. It must be reformatted for Kindle, and then you will be able to order it for just $2.99. The Merlin Fanshaw Quiz lags when I'm not sending out the Cottonwood Clarion Newsletter each week, thus the Quiz will be designed as a monthly event versus the past weekly event. All the more reason for those who would like to participate to jump in quickly when you receive your notice on the LAST SUNDAY of each month! I will let Stan tell you more about "The Big Open" which is now at the printers. The cover photograph is perfect and provided by the Billings Gazette Newspaper, and the photographer (James Woodcock) had actually done the photograph during the Big Drive of 89 Montana Cattle Drive Event (Stan was one of the originators of this event) and had named the photograph "The Big Open!" We only came into possession of the newspaper cover story photograph upon completion of "The Big Open!" For those of you who have been "champing at the bit" for an all NEW Merlin Fanshaw book, there is The Big Open, due out this summer/fall in trade paperback and Kindle. "When U.S. deputy marshal Merlin Fanshaw mistakenly kills an innocent boy during a bank robbery, he abandons his career and rides off into a vast and mostly empty region known as The Big Open. 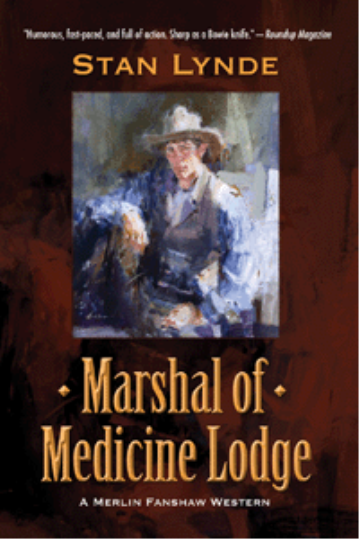 Hired as a cowhand by ranch woman Billie Hart, Merlin is drawn into a deepening conflict between Billie and a ruthless cattleman who will stop at nothing to possess her ranch. When violence threatens, Merlin takes a stand, and exorcises the ghosts of his past.